The 40mm f2.0 Ultron SL II Aspherical Lens from Voigtlander is an ultra-sharp manual focus lens for use on Nikon full frame DSLRs and SLRs. When mounted on a camera with an APS-C size sensor the focal length translates to 60mm. The lens' manual focus action is very smooth and precise and its aspherical, multi-coated optics create sharp images with minimal aberration. Metering and exposure information is passed between lens and camera thanks to the lens' CPU which provides auto-functions with virtually every compatible Nikon 35mm and digital SLR. Included with the 40mm f2 Ultron is a close-up (macro) conversion lens that offers a minimum focus distance of 9.85" (25 cm). The close-up lens is attached via a 52-39mm adapter. In addition to attaching the close-up lens, the adapter allows the attachment of 39mm filters and serves as a lens hood to deflect unwanted light and protect the lens. Multicoated lenses with 2 aspherical elements create very sharp images with minimal aberration. CPU contacts communicate exposure and metering information to camera for auto exposure, shutter speed, ISO and flash applications. Included close-up lens offers macro shooting with 25cm minimum focus distance. 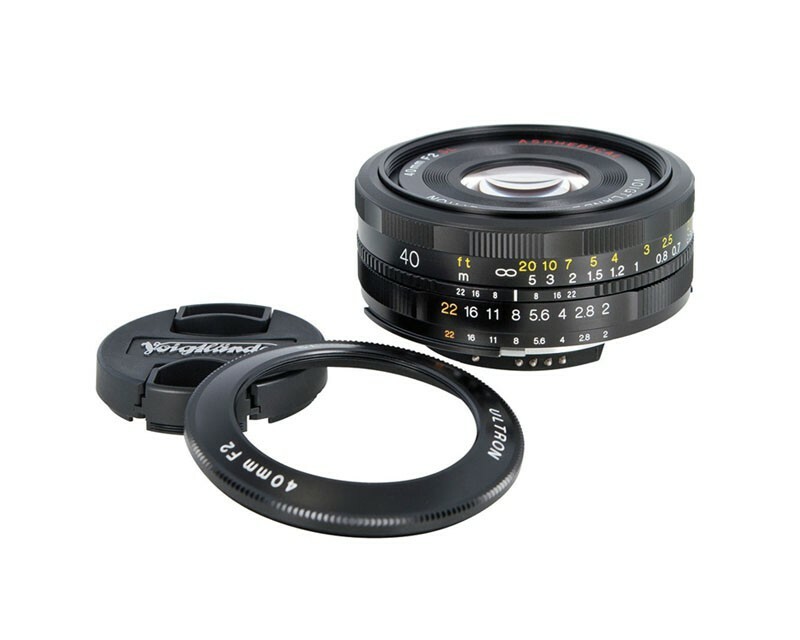 39-52mm adapter attaches close-up lens and optional 39mm filters and provides glare reduction and protection for lens.